Farmers in Europe are required to live with increasingly restrictive tolerances for fertiliser applications. They have new regulations which will reduce the levels of Cadmium allowed in their fertiliser which are much lower than in New Zealand even at today’s levels. They have limits on Nitrogen and Phosphorus and are urged to recycle ever increasing amounts of farm waste. We are under less pressure but inevitably this type of regulation will be the norm in New Zealand also. We understand that it feels like an uphill battle for our farmers because historically we are not used to being closely regulated in these areas but it looks as though it is something we will have to get used to. Our sympathies are with our farming clients and we have an obligation to help, which we intend to fulfill. Our products have been formulated with exactly this outcome in mind. We have kept an eye on overseas practice and it has been clear to us that we cannot continue to carry on as we have in the past. At Fertilizer New Zealand we decided some time ago to take a positive approach and extend our range of products so they align with modern international practice. We believe that there is a lot of money to be made for our farming clients by joining with the new customer focused producers whose products withstand the scrutiny of discerning consumers in sophisticated markets. These are the customers who pay the best prices and they are also the ones that demand the highest standards. This need not be a problem because in New Zealand it is only in the last fifteen years or so that we have run off the rails and started to have a push back on environmental issues. Our nutrient programmes will immediately stop the leaching problems associated with high applications of superphosphate and nitrogen, the two elements that have led to the dirty dairying label. We will invigorate your soil by getting it back to levels of biological life that can build humus and get oxygen back down to the root systems of your pasture. Most beef and sheep properties have been more conservative with fertiliser applications and so the problems are far less pronounced, but ongoing benefits for stock health are still being gained by our clients. At Fertilizer New Zealand we do not fear the approaching scrutiny that is on its way because we have sourced product types and formulated mixes that will perform up to any environmental standard already set and into the future. Because we virtually eliminate waste by way of leaching, we will also save you money. We understand that problems are not remedied by doing the same thing and expecting a different result so make the change and entrust your fertiliser programme to us. What is a nutrient budget? Much like a financial budget, a nutrient budget tells you how much is coming in and how much is going out and to where. It provides a statement of the total nutrient balance for a specific area or farm system, taking in to account all the nutrient inputs and all the outputs. The nutrient budgets include activity from seven major farm nutrients – Nitrogen, Phosphorus, Potassium, Sulphur, Calcium, Magnesium and Sodium as well as acidity for pastoral blocks. This information can then be used to judge how efficient a farm system is in its use of available nutrients. By now most farmers will have been asked to have a nutrient budget done, whether it is by your local Council or your milk factory, as they are becoming an increasingly important tool for financial and environmental reasons. If properly prepared and interpreted, it can help identify potential production or environmental issues arising from nutrient excesses or deficits. We at Fertilizer New Zealand are accredited to do nutrient budgets with our certified nutrient management advisor. While we agree with the need for a clear standard that all fertiliser companies follow, this is just part of the growing equation. Soil life is a major part of growing healthy crops or pasture. Consider this. What emphasis do you put on the carbon levels in your soils, and have you ever considered testing for it? What about the organic matter in the soil? Ask your fertiliser Rep to check these levels when you are taking the next soil tests. Having spent over 20 years in this business, the limiting factor in many soils today is both carbon and organic matter. Without these, soil life will be depleted as this is the habitat for most of the beneficial soil creatures. There is a growing awareness that soil life is the limiting factor. A healthy, balanced, productive soil contains billions of micro-organisms per kg of soil which break down organic matter and soil components to liberate nitrogen, carbon dioxide and minerals in a plant-available form. 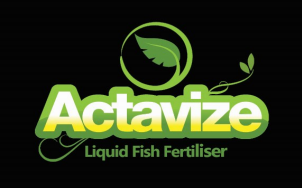 Actavize Liquid Fertiliser is a suspension containing fish meal, proteins, enzymes and amino acids, with added carbohydrates, minerals and naturally occurring growth-promotants. This blend produces a balanced liquid fertilizer with all the life-giving elements necessary to provide optimum soil health and plant performance.